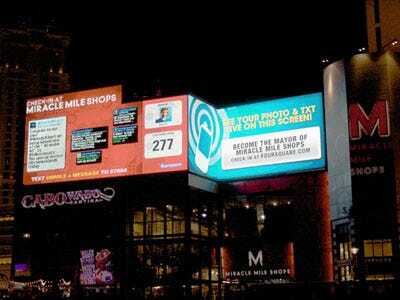 Foursquare is appearing live in Las Vegas.The location-based app has posted this picture of a billboard on the strip, courtesy of sponsor LocaModa. That’s all we know about it. Any readers in Vegas seen this yet?